← CHARLES ‘K.K.’ LEWIS’ SUPPORTERS TURN COURT HEARING DELAY INTO VICTORY; TO RETURN FRI. MARCH 9 @ 9 AM. 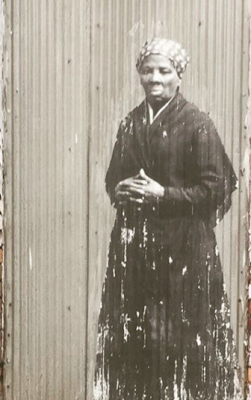 Harriet Tubman walked thousands of Black people out of slavery into freedom. She is truly the greatest freedom fighter to have ever lived. The idea of Harriet Tubman still inspires and motivates to this day. 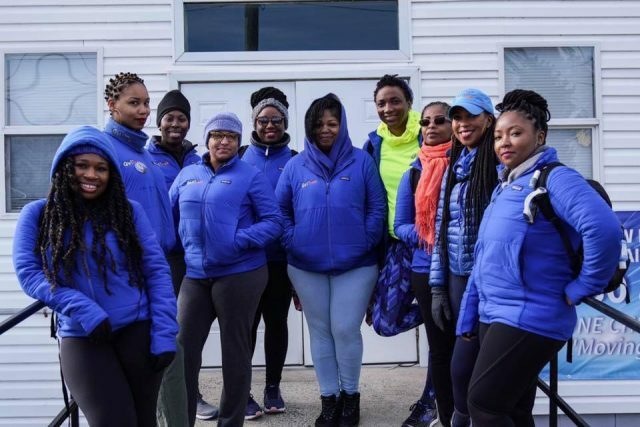 GirlTrek, a national public health nonprofit and movement, is honoring Harriet Tubman with an epic 100-mile trek from the Eastern Shore of Maryland crossing the Mason-Dixon Line into Delaware also known as the Underground Railroad. This trek is known as “Harriet’s Great Escape” and culminates today, March 10, 2018, on Harriet Tubman’s birthday. Ten Black women from across the nation set out on March 5, 2018, for this freedom walk. Slavery may not be the main issue these days but freedom from disease, stress, and depression are reason enough to bring awareness to what GirlTrek is accomplishing. “Now, it is even more important that GirlTrek works to re-establish walking as a healing tradition. We believe that, as women, we are going to have to also liberate, one, ourselves and then come back and be examples and liberate our family. And one of the things we say is that, if Harriet Tubman could walk herself to freedom, we can certainly walk ourselves to better health,” said Vanessa Garrison, co-founder of GirlTrek. When we talk about superpowers many times they seem intangible or just out of reach; however, when we take stock of the strength and wherewithal that exists in the DNA of Black women, we have to salute and honor it. “We realized that we can’t just talk the talk. We will show and prove that 2018 is about radical courage and unshakable sisterhood. We’re walking the Underground Railroad. To reach 1 million Black women by 2020, we knew we needed to be even bolder and hold this unprecedented trek. Harriet Tubman saved her own life first and then went back time after time to save the lives of others giving us the blueprint for the work GirlTrek does today. This is radical self-care at its core,” says GirlTrek co-founder, T. Morgan Dixon. Today we honor the legacy of Harriet Tubman and support the 10 women who have taken on this great task of this 100-mile walk to freedom. They truly are our superheroes. 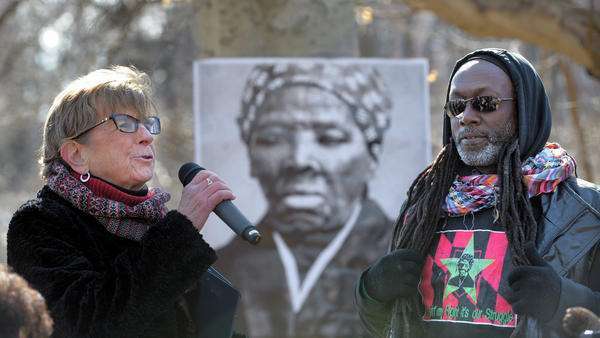 Baltimore, MD–3/10/18–A portion of Wyman Park Dell was renamed “Harriet Tubman Grove, ” honoring Maryland native Harriet Tubman, an American hero and celebrated “conductor” on the Underground Railroad. The ceremony was held on the 105th anniversary of her death. At left, Council Member for District 14, Mary Pat Clarke addresses a large crowd. At right is Duane “Shorty” Davis, a founding member of Baltimore Bloc displaying a Harriet Tubman t-shirt he’s wearing. Algerina Perna/Baltimore Sun Staff. 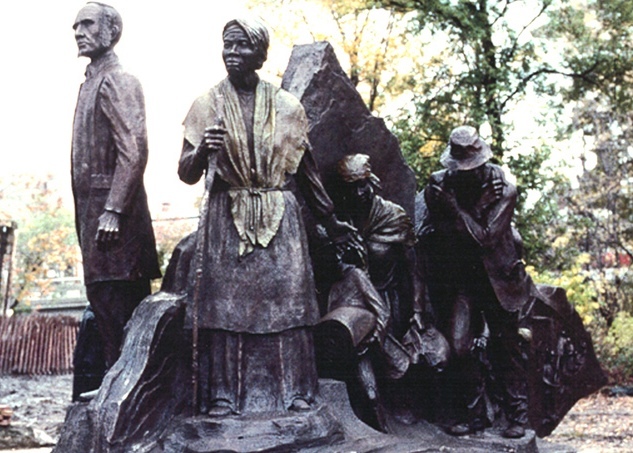 Baltimore, MD–A portion of Wyman Park Dell was renamed “Harriet Tubman Grove, ” honoring Maryland native Harriet Tubman, an American hero and celebrated “conductor” on the Underground Railroad. The ceremony was held on the 105th anniversary of her death. At left, Council Member for District 14, Mary Pat Clarke addresses a large crowd. At right is Duane “Shorty” Davis, a founding member of Baltimore Bloc displaying a Harriet Tubman t-shirt he’s wearing. Algerina Perna/Baltimore Sun Staff. More than 200 local residents and elected leaders gathered in a tree-lined corner of Baltimore on Saturday to rededicate the space, which had long venerated two Confederate generals, to the famed abolitionist and Underground Railroad conductor Harriet Tubman. The ceremony in Wyman Park Dell, on the 105th anniversary of Tubman’s death, took place feet from the now-empty pedestal of a large, bronze, double-equestrian statue of Confederate Gens. Robert E. Lee and Stonewall Jackson. 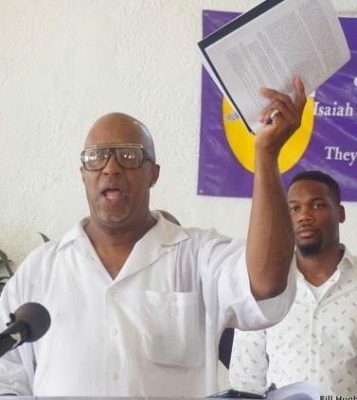 Marvin “Doc” Cheatham demands action on Baltimore police war against the Black community. The statue had stood in the park since 1948, but was removed in August amid a national reckoning with Confederate symbolism and monuments. That reckoning began in large part in 2015, after white supremacist Dylann Roof shot nine African-Americans to death in a church in Charleston, S.C. It grew in August after a white supremacist rally to protest the planned removal of a statue of Lee in Charlottesville, Va., led to the death of a counter-protester after a neo-Nazi sympathizer allegedly drove into a crowd. 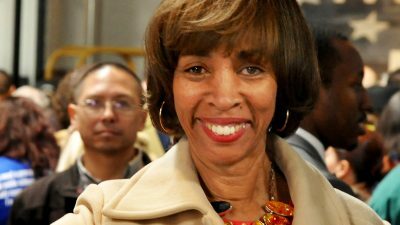 Mayor Catherine Pugh’s administration removed four Baltimore monuments with ties to the Confederacy — the Lee-Jackson monument, a monument to Chief Justice Roger B. Taney at Mount Vernon Place, the Confederate Soldiers and Sailors Monument on Mount Royal Avenue and the Confederate Women’s Monument on West University Parkway — days after the Charlottesville rally in an unannounced, overnight operation, citing “safety and security” concerns. At the event Saturday, city officials and local residents acknowledged the events in Charleston and Charlottesville, but largely focused on more local efforts to have Baltimore’s statues removed, including a grass-roots petition drive. They said the removal of the statues has embued the spaces where they once stood — like the Harriet Tubman Grove — with their own symbolic power. Marvin “Doc” Cheatham, a longtime civil rights leader who has been working to get Tubman recognized in more official ways across the city for years, thanked the community for its work in renaming the grove. “You did what needed to be done to say, ‘Yes, we need to move on,’ ” he said. Jackson Gilman-Forlini, 28, of Abell, who is studying how society re-contextualizes monuments and memorials over time as part of a master’s degree in historic preservation at Goucher College — and who served on the task force formed by Pugh last year to study the removal of the city’s Confederate monuments — said the rededication was a great thing for the city. “Monuments are seen as permanent, sort of monolithic structures, but inherently their meanings change over time, and really the removal of these monuments was not so much about monuments in general, but about the kind of values that we as a society want to promote,” Gilman-Forlini said. “This is now the next logical step in the process of asserting those values, those positive values of inclusion, of tolerance, of speaking out against prejudice. 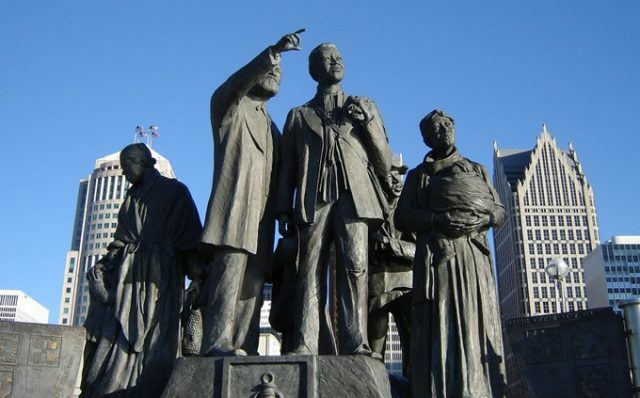 Detroit’s Underground Railroad monument stands on the banks of the Detroit River, commemorating those who escaped slavery by crossing into Canada.